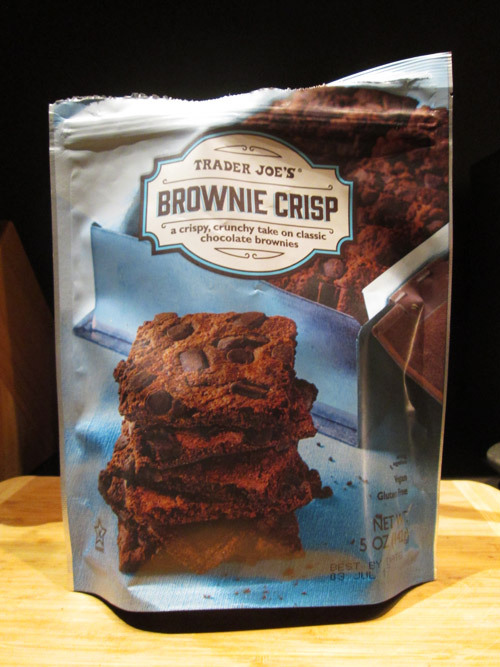 I’ve seen these brownie crisps all over the place for the past few years, and I kept wanting to try them, so I finally picked up a bag when I saw these at TJ’s. 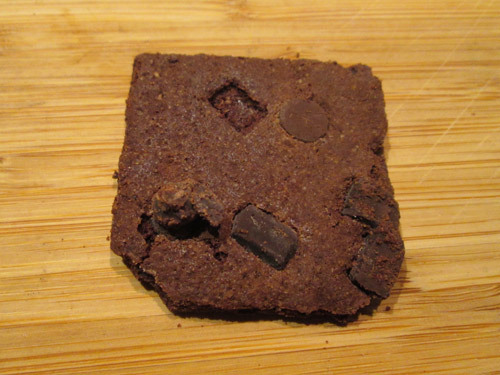 I’ve been known to bake a pan of brownies and then eat them all within 48 hours or less, and I’ve done the same with pans of cookies, so these brownie/cookie hybrid seemed like it would be a slam dunk. Unfortunately, I didn’t like them as much as I thought I would. The flavor was good, but they seemed to be lacking the chocolate chips that I thought would be more plentiful throughout. True to their name, they were indeed crisp. But I think part of what I love about brownies is their gooeyness and softness, and these kind of tasted like you baked brownies way too long. Still, I finished the whole bag in two evenings, so I wouldn’t say they were bad by any means. I would say that I would much prefer regular brownies over these though. The only way I could see myself getting these again over brownies would be if I’m looking for a low calorie snack (the whole bag is only 500 calories–if you’re wondering who would eat a whole bag at once, that person would be me).